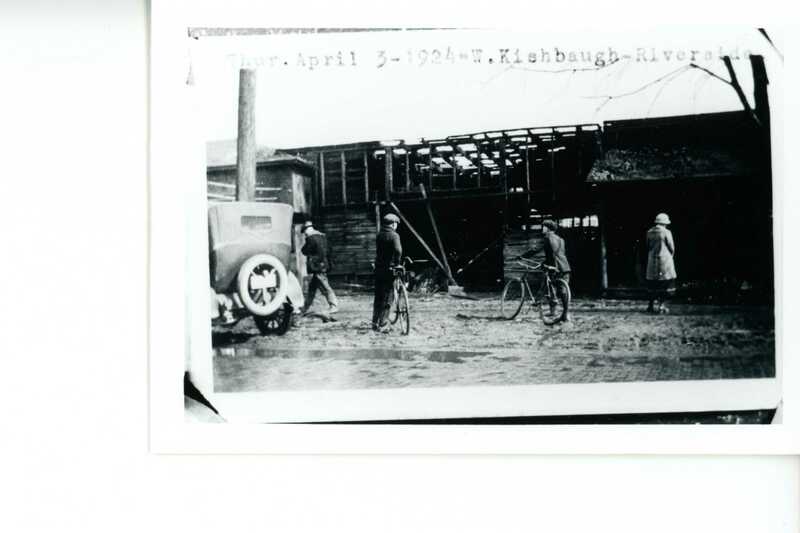 Here are some more Local History Mystery Photos just in time for your weekend viewing pleasure! If you click on the photo you’ll get a larger view! Mystery Photo 1: The record for this photo is completely blank! 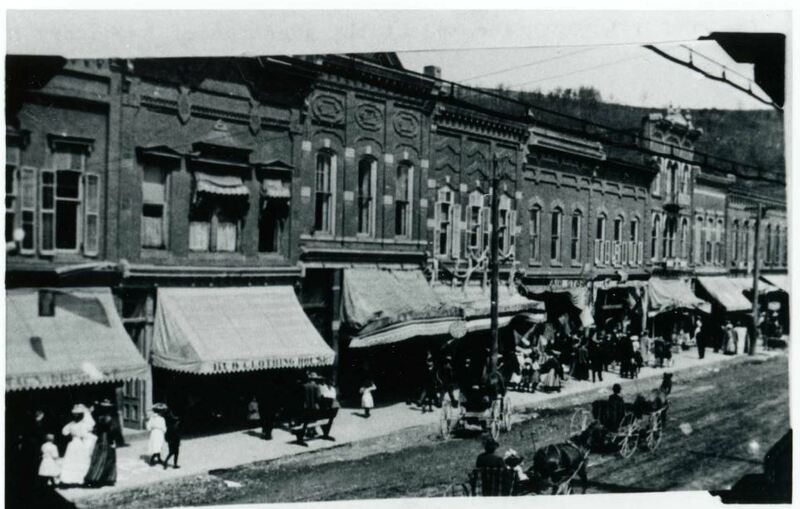 It looks like Market Street to me — sometime before the street was paved over with blacktop. 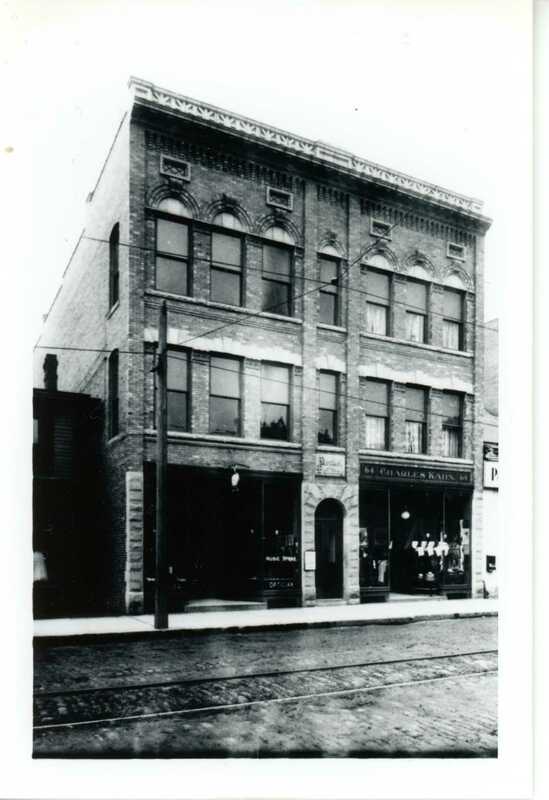 Does anyone have any idea where this building is/was exactly? And a bonus point if you can venture a guess as to when this photo was taken! So our mystery questions feature the usual suspects! When and exactly where (exactly) was this photo taken? Mystery Photo 3: This one is of a corner lot but which corner is a mystery! And bonus points to anyone who can tell us what the name of the business is that is relocating! There is sign that no doubt features the store name above the white sale banner but I can’t read it — how about you? 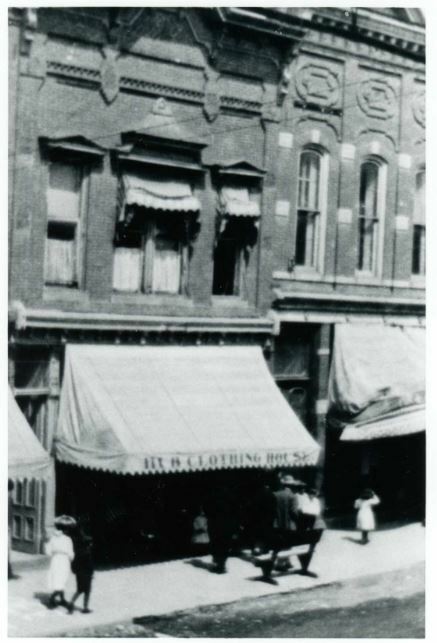 Mystery Photo 4: The record for this photo says “Hub Clothing” which is indeed the name of the business as shown on the awning. 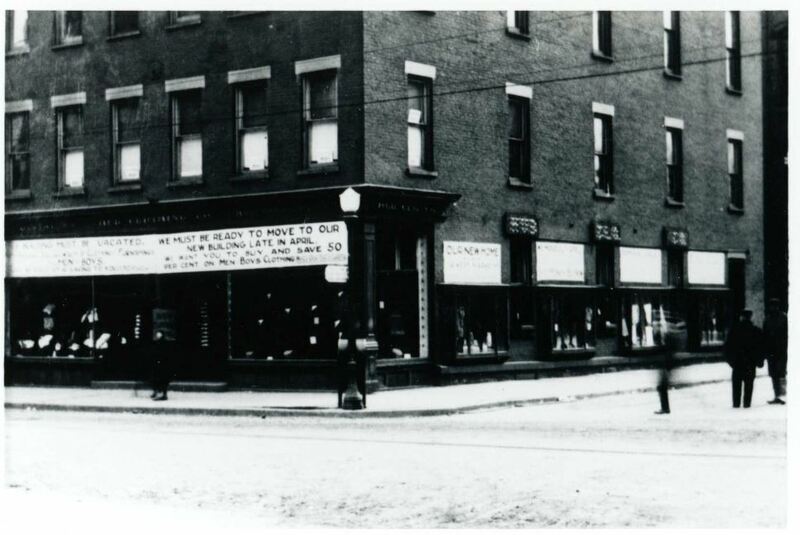 Does anyone know where on Market Street this business was and what type of items they sold there? Mystery Photo 5: has a record the only says the photo was taken in “Riverside” so our mystery question is the obvious one! Where was the photo taken? The look of the car suggests that the photo was taken in the 1920s or 1930s but where it was taken remains a mystery! And don’t forget you can digitalize your family photos, make digital and slides and share them digitally! You can also use our Circut Machine to create a nifty cover for your family history album! Just drop by our Makerspace and check it out! Our Makerspace, Creation Station, is open from 10 a. m. till noon on Mondays and Wednesdays and from 5:00 – 7:30 p. m. on Tuesdays and Thursdays drop in to find out more! Enter the world of e-textiles when we create a pair of touch screen compatible gloves for the chilly months of winter. Work with conductive yarn to transform a pair of your own gloves, or start from scratch with a provided pair. Teens and tweens ages 10 and up can learn about different kinds of technology. Have fun with science! Sign up by calling (607)936-3713 ext. 503 or email cranek@stls.org. Run Time: 90 minutes. Not rated. Dale Wexell will review “Crooked,” by Austin Grossman. The Friends of the Library annual meeting will follow this book talk. DJ will discuss encryption and script blocking. This class will also help attendees gain insight on how to safely travel around their computer and the Internet. For teens and young adults. Read your writing or just chat with other writers about writing and books. For details, email chigamac@stls.org.